Corey Bighorn is a public speaker, award winning leader, and musician from Bloodvein First Nation, Manitoba. Broadcasted nationally on Aboriginal Peoples Television Network (APTN) in 2013, he was one of the stars on Season 3 of the hit show Fit First where his music was also featured. A public speaker since the age of 15 he has advocated for organizations such as Mino Bimaadiziwin, Winnipeg Aboriginal Sports Achievement Centre, the TJ’s Gift Foundation, and Teach For Canada. Travelling throughout the country he shared his music and the message of living “The Good Life” and bringing awareness to the struggles facing the Aboriginal peoples of Canada. 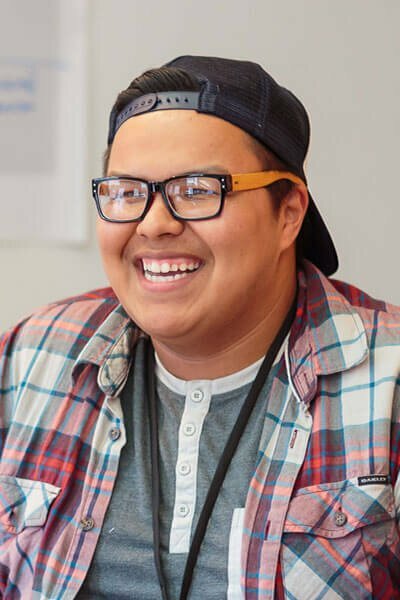 Nationally recognized as the only Aboriginal recipient of the prestigious Top 20 Under 20 Award, he presently works for Southeast Resource Development Council as the Commercial Tobacco Reduction Youth Worker.